This headline appeared in the AJC recently, where two Democrats for Governor in Georgia spewed gun control talking points like they were running for office in left-wing San Francisco. Unhinged. Violent. And looking to take back power in 2018. Second Amendment supporters must take these threats to our rights seriously. Because if the gun-grabbers ever get the votes, they’ll shred your gun rights. That’s why I’m urging you to get involved right now to protect our rights in 2018. If you’ve yet to join or renew with Georgia Gun Owners for 2018, please click here or below and do so today. 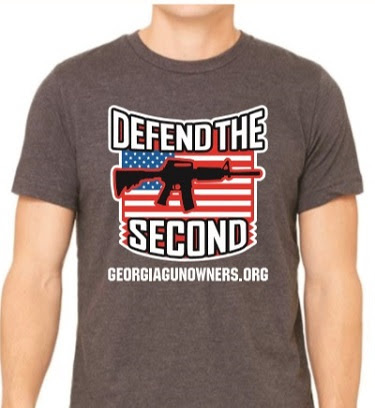 As an additional bonus, I’ll send you our brand-new 2018 DEFEND THE SECOND member t-shirt like the one below when you come on board for 2018. The stakes couldn’t be higher than they are in 2018. Please renew or join today, and stand shoulder to shoulder with us in this fight.